Greece is home to a variety of islands and various administrative regions; including The Cyclades, The Aegean Islands and many more, each one has its own customs and traditions. But Crete has such individuality you’d be forgiven for believing it was a country in its own right. Crete is the largest Greek island and the most populated. It brags of a highly varied landscape, with white-sandy beaches, that look as if they have been lifted from a postcard, snow-tipped mountains peeking out in the distance and it’s peppered with bewitching villages. Crete was once home to one of the oldest advanced societies in Europe, 4000 years ago the Minoans lived there and you can still find remnants of their existence, including the famous palace of Knossos. 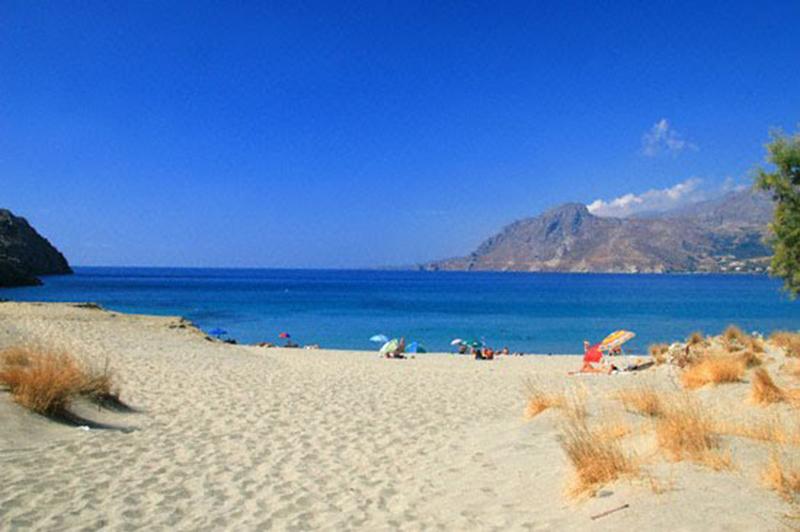 This beach can be found in the popular tourist area of Plakias, close to Rethymno city. It’s a sandy coastline stretching east, up to Cape Mouri. But if you want to get to the most beautiful part of this land head to the east, to a place called Paligremnos. This beach is lined with high cliffs and several caves that were created by the Wehrmacht during the German Occupation. It doesn’t stop there this dazzling beach has a fascinating past and quirky charm it’s so hard not fall head over heels in love with it. Something to remember: If you’re staying close to Paligremnos Beach on a full moon between September and October, head to the beach, where a strange occurrence takes place. The moonlight reflects off the cliffs, attracting big squids to the beach. The locals then gather them with big sticks. You’ll have to see it to believe it! 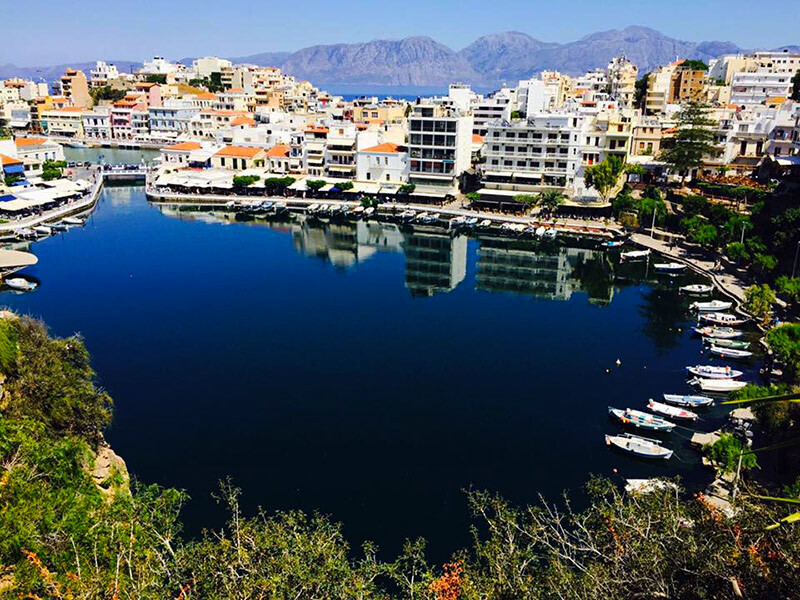 This charming harbour is the perfect place for a leisurely afternoon stroll and you can even stop off for some traditional Greek food from nearby restaurants. Aghios Nikolaos has evolved from the ancient city of Lato, which existed in 2,700 BC. Over the years this harbour has become a popular place, with the capacity to hold 255 boats at any time, many people travel here on luxurious yachts and boats to enjoy a cosmopolitan summer. 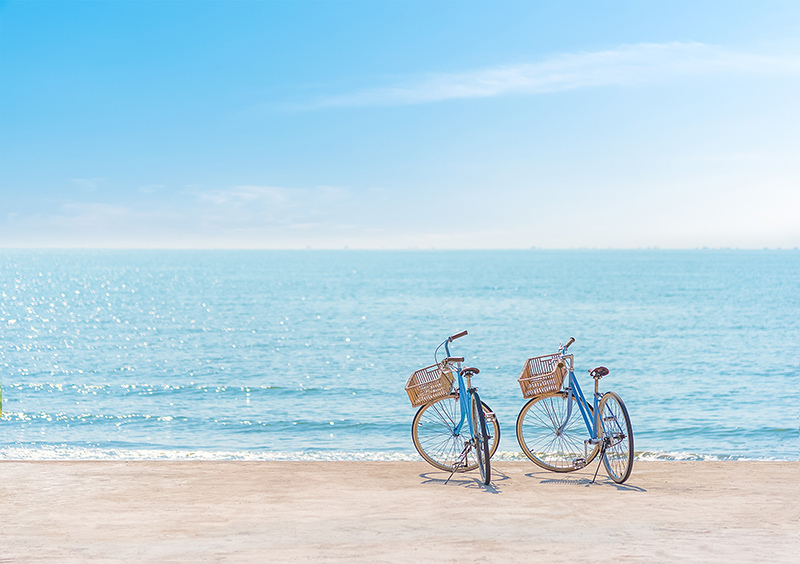 If you’re looking for a little adrenaline and physical exercise when you head to Crete then hire a bike. Anyone who enjoys cycling in their spare time will enjoy Crete’s challenging landscape, particularly along the coast. Crete enjoys the sun for most of the year and it’s home to winding roads, it’s a cyclist haven. Holly particularly enjoyed exploring the coastline on the back of a bike, not only does it give you the perfect opportunity to see Crete’s incredible beauty. Along the way you’ll stumble across turquoise waters, sandy beaches and bustling towns that you never knew were there. 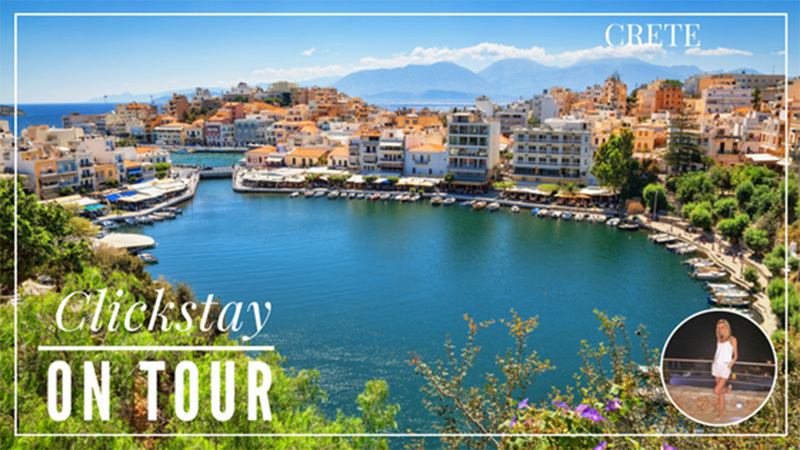 This is the main town and administrative capital of Crete and it’s the place to go to experience the Greek Island’s urban charm. 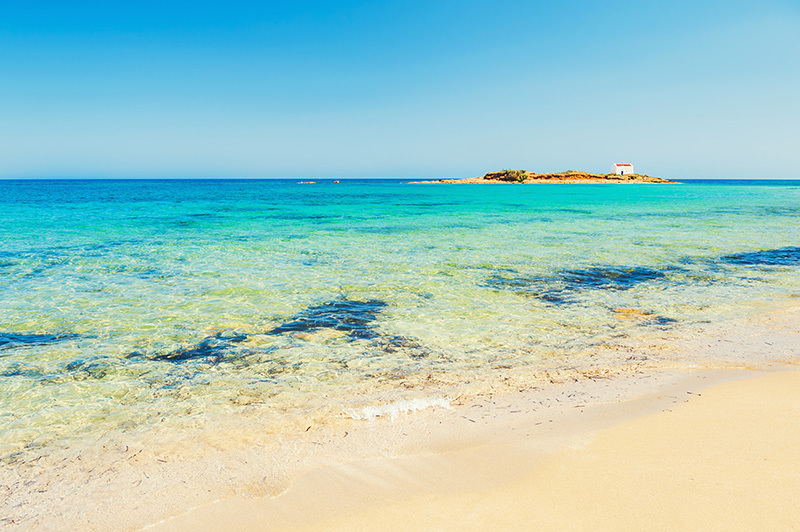 It’s home to some of the most popular attractions including the Old Town with a 16th-century Venetian fortress, the ancient Minoan Palace of Knossos and the ruins of the Palace of Phaistos, which was built in 1600BC. So, if you’re interested in the vast history of Crete the capital is the place to go. 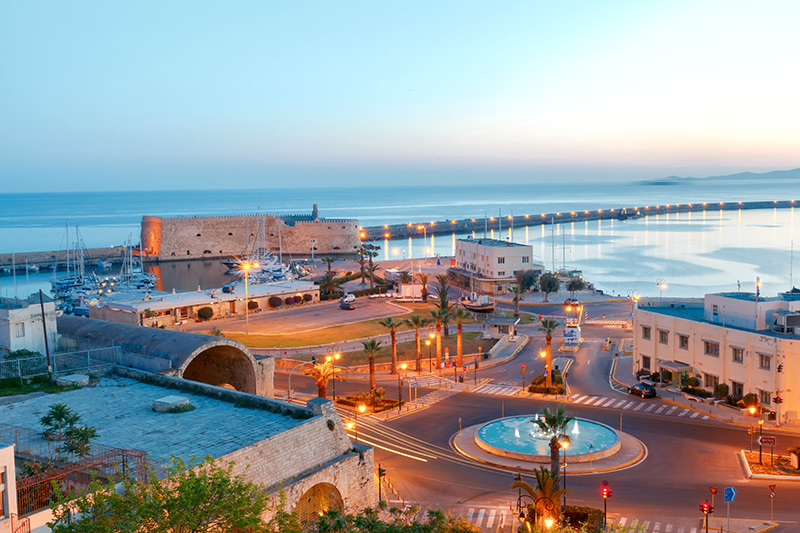 And if you fancied a great spot for shopping or a fine selection of restaurants, then there’s no better place than Heraklion. Around 10 years ago Holly worked in this north-eastern, coastal town called Malia and she has first-hand experience of life in this party town. It’s mainly visited by young British tourists looking for a fun night out and a sandy beach to rest their weary head on during the day, after an alcohol-fuelled evening. If this sounds like your idea of a holiday then Malia is the place for you. But if you did want to know the true essence of this part of Crete, away from the pulse-pounding clubs and disco, then head to the atmospheric Old Town. Malia is very easy to get to, it’s 40km from Heraklion and there’s a regular bus service running from the capital. Where would you like to visit in Crete?